Up to -according to a fast growing mass of people- the greatest genius of all time (though he may not even be in the official top twenty). Because we are overwhelmed by the size (literally and figuratively) of the man, a link to Tesla. Note that he considered that a planet could be moved in space, something to think about when you read the 'spaceship moon' chapter. 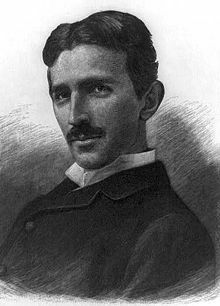 Tesla thought that with giant towers and electromagnetism he could produce unlimited energy. Tesla (and others) knew that controlling gravity was not a dream. According to him artificial gravity and even anti-gravity was within our reach. Now scientists are speaking about moving earth further away from the sun to control climate change. NASA says: ‘This is theoretically possible but not practical. It’s more something for a science fiction book.’ The books of Tesla looked like science fiction (certainly early last century) ... but most of it already became reality. It seems to us the rest will become reality. And although, according to some, Tesla looks overhyped, we are convinced of the contrary. Also a link to a doubtful feature. He would have been a supporter of what one calls eugenics, a genetic improvement of the human race. As mitigating circumstance we only say that he was a product of his time. So many great men were indeed thinking the same. Tesla was a super genius who devoted his life to science, although some dare to call him disturbed. They give some of his character traits a pejorative connotation. But all in all the man was mentally more than okay. Though he suffered from what one calls nowadays OCD (obsessive compulsive disorder), he counted his steps, hated the number three, believed in alien life and in the paranormal. What about OCD? It is so common that it is almost normal (certainly among geniuses). With his belief in extraterrestrial life and the paranormal communication, we are almost sure he was right (again).� Paranormal communication, believe it or not, is not so far away from our daily lives. Communication through brain waves is just around the corner (so to speak). He predicted a lot of things, a sky full of airplanes, solar energy, a tangle of cars, the mobile phones of today, an increase in earthquakes, climate change, globalization ... How could he predict those things without some kind of secret knowledge? We will say it severaì times, but every step science is taking, especially during the last 50 years, it is reinventing the past. Some other things about Tesla: He was 2 meters tall, watched his diet. ate no meat, later only liquid food ... he had a very strong will, became 86 years old. His secret -just like all nazi secret knowledge- fell in 'the real rulers' hands (mostly Americans who shared it with other real rulers. Members of the same club that is spread all over the world). 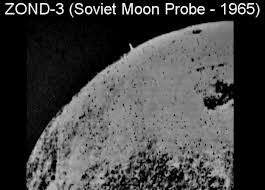 There could be a lot of technology on the moon build by our creators and copied by our real leaders. We are no specialists but we do know that several times already scholars suggested that Tesla towers and plasma bulbs are closely linked. And that plasma bulbs with the help of a laser, can eliminate a comet. Did Tesla knew too much? Did he and Bulwer-Lytton Shared the same thoughts? (Cfr Marc j. Seiffer, Wizzard, the life and times of Nikola Tesla, page 65.) Was he coming too close to the secrets of the real rulers? Was he not controllable enough ... too stubborn? We don't know. Anyhow an invisible hand undermined his credibility. He became a 'twisted mind'. He got too little honor from official side. For those interested: An interview with Tesla from 1926 (also he saw women as the future). He saw women as superior to men: 'It may take centuries but once the world will see that men are not so important as they think they are.' He compared society with a bee colony in which the queen the mother goddess is the most important creature. Note that Alfred Wallace saw also a great future for women, just like Bulwer Lytton. Is thát the reason they were neglected in a men's world? Plato, Jezus, Da Vinci, Michelangelo ... they all highlighted the strenght of women.